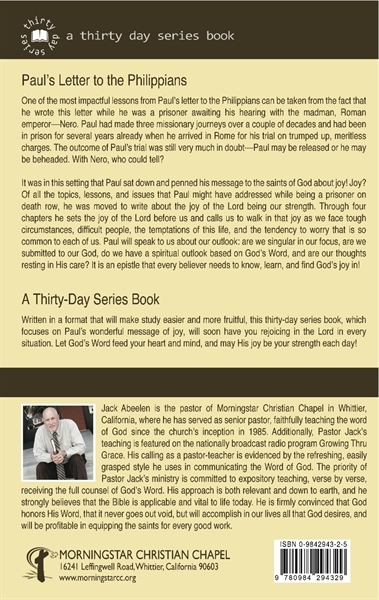 Written in a format that will make study easier and more fruitful, this thirty-day series book, which focuses on Paul’s wonderful message of joy, will soon have you rejoicing in the Lord in every situation. Let God’s Word feed your heart and mind, and may His joy be your strength each day! One of the most impactful lessons from Paul’s letter to the Philippians can be taken from the fact that he wrote this letter while he was a prisoner awaiting his hearing with the madman, Roman emperor – Nero. Paul had made three missionary journeys over a couple of decades and had been in prison for several years already when he arrived in Rome for his trial on trumped up, meritless charges. The outcome of Paul’s trial was still very much in doubt – Paul may be released or he may be beheaded. With Nero, who could tell? It was in this setting that Paul sat down and penned his message to the saints of God about joy! Joy? Of all the topics, lessons, and issues that Paul might have addressed while being a prisoner on death row, he was moved to write about the joy of the Lord being our strength. Through four chapters he sets the joy of the Lord before us and calls us to walk in that joy as we face tough circumstances, difficult people, the temptations of this life, and the tendency to worry that is so common to each of us. Paul will speak to us about our outlook: are we singular in our focus, are we submitted to our God, do we have spiritual outlook based on God’s Word, and are our thoughts resting in His care? 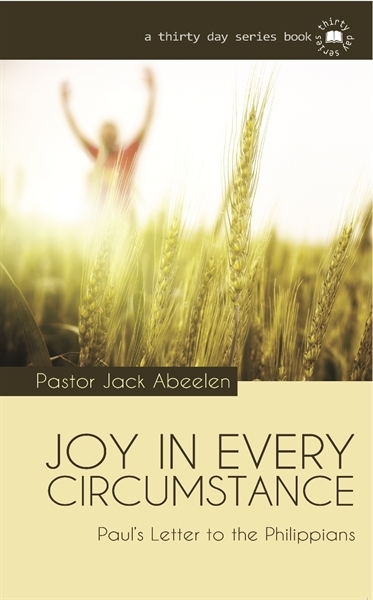 It is an epistle that every believer needs to know, learn and find God’s joy in!